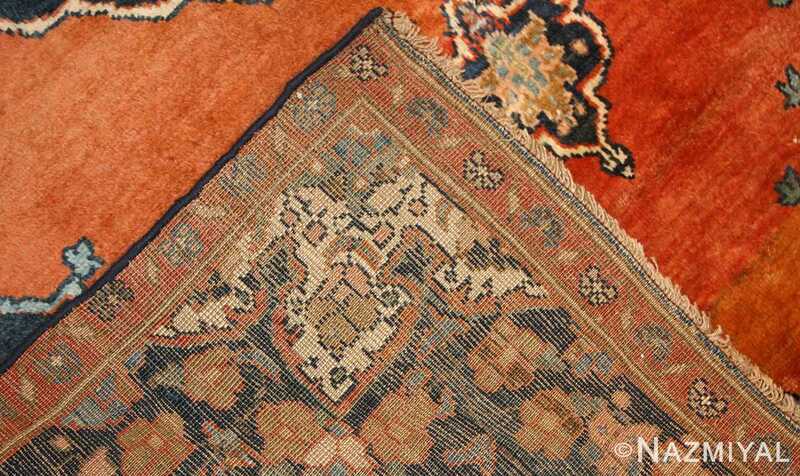 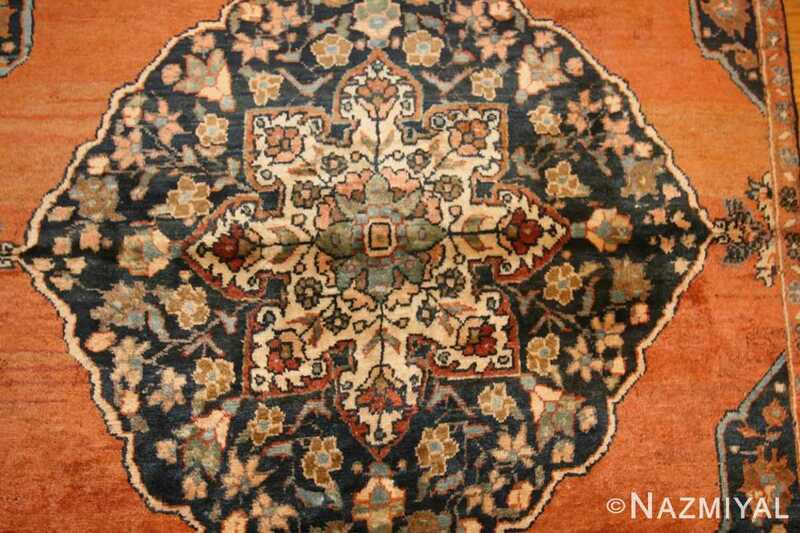 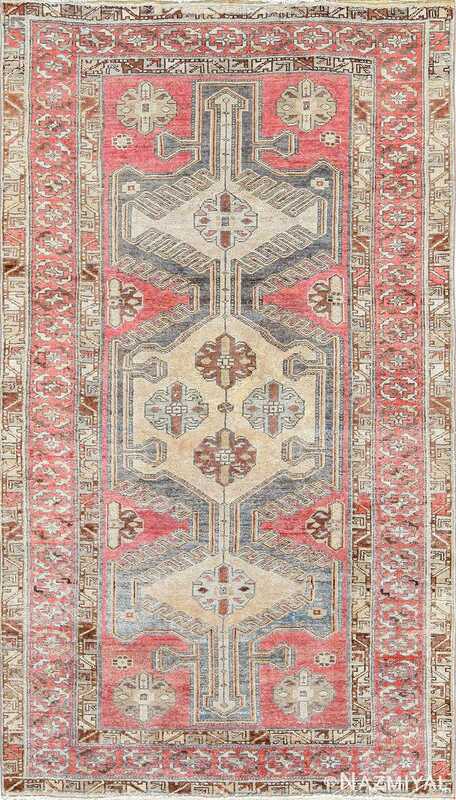 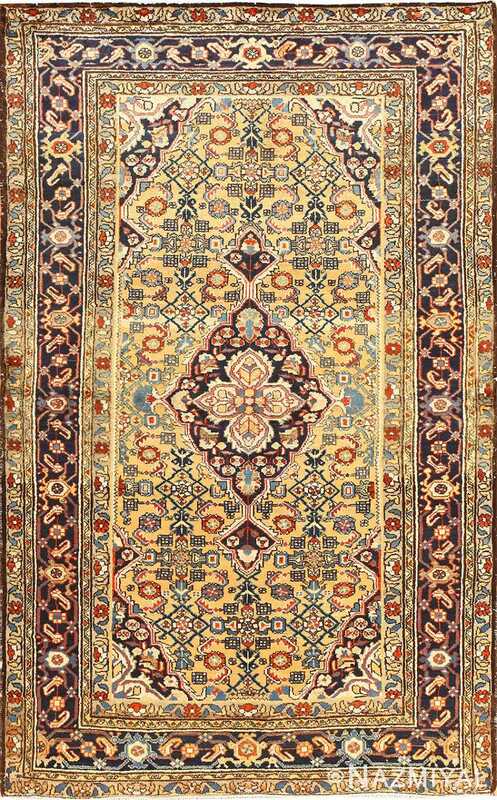 Antique Persian Malayer Rug, Country of Origin: Persia, Circa Date: Early 20th Century – In many ways, this rug defies the traditions of classic Malayer rugs, which are known primarily for their intricate borders and rectilinear motifs. 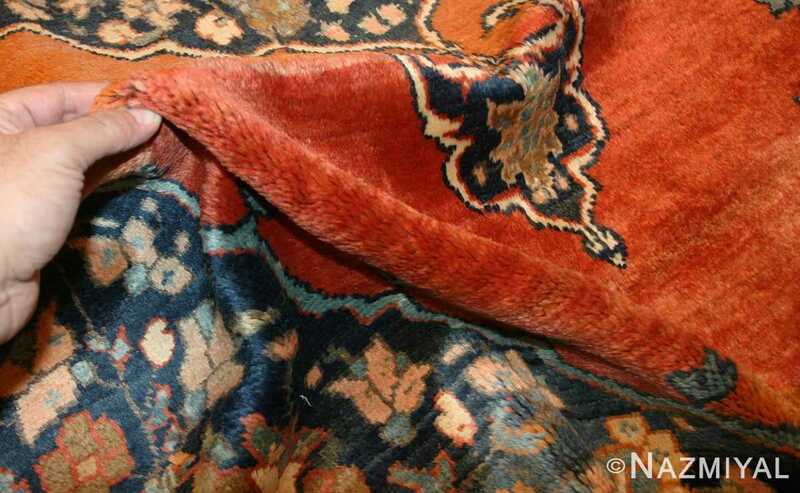 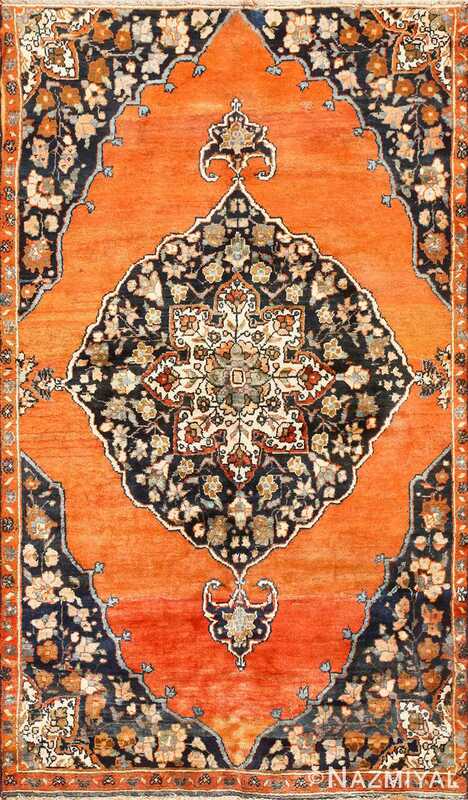 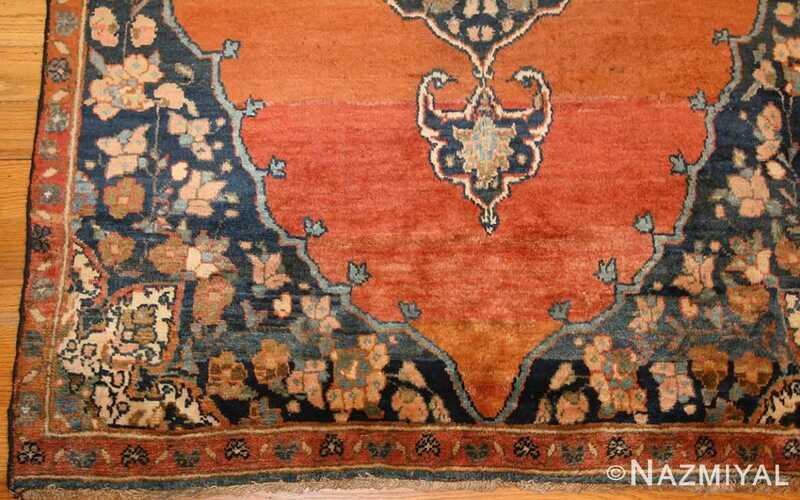 But the brilliant tangerine orange and indigo color palette combined with the interesting, oversized medallion make this rug truly one of a kind. 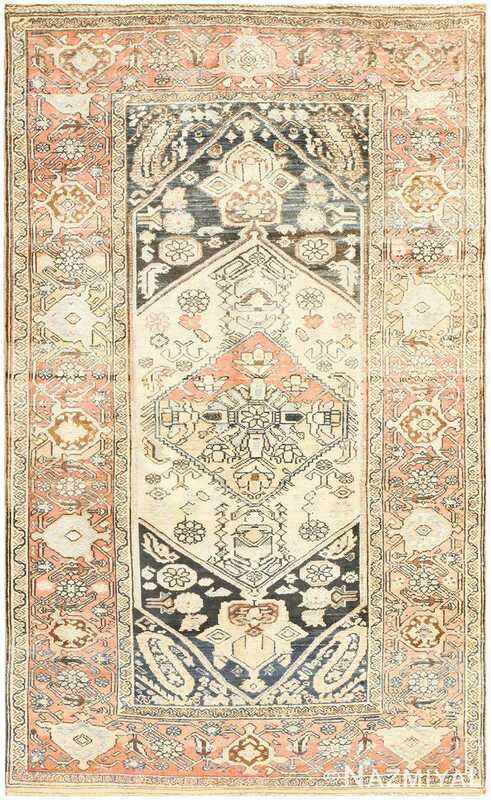 The gorgeous floral details in the corners complement the nucleus of the medallion at the middle while the unadorned field serves as a backdrop against which the beautiful details of the rug stand out.